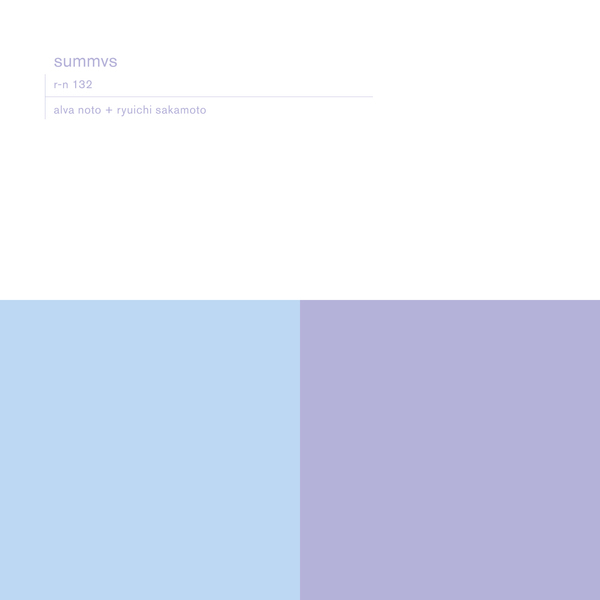 ‘Summvs’ is the fifth and purportedly final collaborative album from the dream-team of Ryuichi Sakamoto and Carsten Nicolai (aka Alva Noto). Since 2002 the two musicians have fused their disciplines near-faultlessly, with Sakamoto’s evocative piano-based compositions melting effortlessly into Nicolai’s skillful digital rhythms and cautious manipulations. Each album has brought the duo slightly closer together, and ‘summvs’ (the title an amalgamation of the words summa and versus) sees their work reach critical mass. With Sakamoto apparently working on a rare piano (one of only fifteen in the world) using 16th interval tuning, and Nicolai expanding on his newfound love of harmony and melody, the results are much warmer than their earlier experiments, and all the better for it. While Nicolai’s glacial digital hiccups were always a draw for some, I found at times they distracted from the focus of the pieces – and here rather than eliminate them altogether Nicolai tempers them, working them into a more harmonic framework. The familiar bass-heavy shuffle we fell in love with all those years ago on ‘Transform’ still crops up occasionally, most noticeably on ‘Pioneer IOO’, but it's balanced by an unforgettable cinematic haze of ‘Naono’ (a clear standout – think Deaf Center, Ben Frost or The Fun Years) and ‘Halo’. There is something elegiac and deeply final about ‘summvs’, it feels like an ink stamp, an underline, a statement from the duo saying ‘this is it, and this is the best it can be’, and it truly is. Memorable, atmospheric and beautiful – even if you’ve missed all four of their previous albums, ‘summvs’ is the one to buy. Easily a highlight of 2011 thus far – you know what to do.